In several weeks, people with an addiction to opioids will be able to walk into a health care clinic in Bangor and receive medication that day to help them in their treatment and recovery process. It will be the first known time in Maine that people will have same-day access to Suboxone in a primary care setting. By June, Penobscot Community Health Care’s Union Street center plans to offer same-day access to the medication regardless of whether people are official patients, in an effort to reach those most at risk of overdose, including people who have been recently released from jail and people without permanent housing, said Noah Nesin, vice president of medical affairs for PCHC. Providing same-day access will have a ripple effect. With the guarantee of a provider able to provide immediate follow-up care, St. Joseph Hospital will be able to consistently initiate Suboxone treatment in its emergency department, said Jonnathan Busko, the hospital’s emergency department medical director. Emergency room physicians who are not specifically certified to prescribe Suboxone are allowed to administer up to three days of the medication to relieve patients’ acute withdrawal symptoms, under federal rules. That “three-day rule” has allowed some hospitals in Maine, such as Mid Coast Hospital in Brunswick, to begin the treatment process in the emergency room as long as providers in the community have the capacity to continue treating the patients after the three days are up. 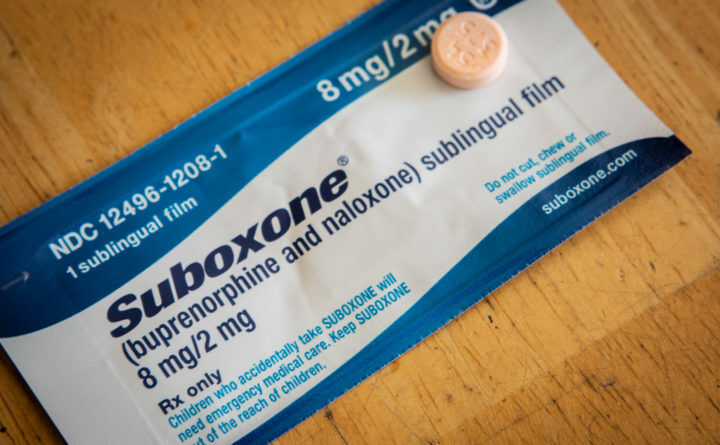 By June, enough PCHC providers, including many nurse practitioners, will have gotten the required training to prescribe Suboxone, enabling the federally qualified health center, which is the largest in Maine, to not need the emergency room’s multiple-day intervention, Nesin said. “For PCHC to do this, it’s tremendous. It’s unique to this area and pretty unique in the U.S. To get to a same-day program on an outpatient basis that’s not dependent on emergency departments to pick up the difference, this is pretty pioneering,” Busko said. 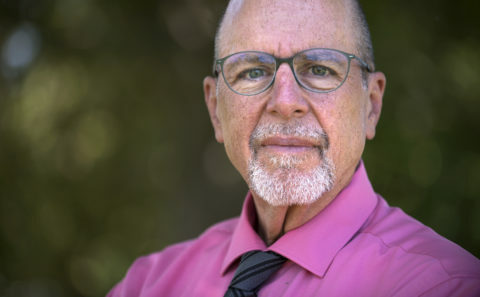 Four or five years ago, patients had to wait six months for a provider in the area who could prescribe Suboxone, Busko said. In 2011, for instance, PCHC had only a handful of providers licensed to prescribe the medication. By the end of this year, it will have 35 to 40, Nesin said. Each one can prescribe to a limited number of patients. Suboxone is the brand name for a medication that contains buprenorphine and naloxone. It reduces a person’s cravings by blocking opiate receptors in the brain. In addition, in the past, the primary care approach was more geared toward patients with stable living environments, often requiring them to attend individual or group counseling before receiving medication. That model isn’t ideal for those with “the most severe disease” who are most at risk of overdose, Nesin said, and that’s why PCHC is adopting a “medication first” model that aims to treat people immediately with Suboxone before addressing their other needs. “Having same-day access to the medication as a start and then close follow-up is one way to engage that population. Where it’s been done, you may retain a third to a half of them in treatment and therefore prevent some overdose deaths and give people access to primary care and treatment and recovery,” Nesin said. “If a person with diabetes doesn’t see a nutritionist, we don’t withhold their insulin,” he said. The efforts of PCHC and St. Joseph Healthcare, which is a member of Covenant Health, a nonprofit Catholic health care organization based in Massachusetts, align with state government priorities. On Feb. 6, Gov. Janet Mills signed an executive order outlining her administration’s initial actions to combat the opioid crisis, as overseen by Gordon Smith, the director of opioid response. They include expanding the number of emergency departments offering Suboxone and encouraging every county jail to have medication-assisted treatment available for inmates with a substance use disorder. PCHC’s same-day access will make it easier for local jails to treat opioid use disorder because they will have a place to send people to continue receiving their medication after their release, Nesin said. Neither Nesin, Busko nor Smith knew of other primary care offices in Maine offering same-day treatment, though several hospitals do. “We’ve been anticipating it, looking forward to it, because it is an important way to provide low-barrier, immediate access,” Smith said.